Advanced technology moves heat away from the mattress. Product Description Floating on Air. Feel like you’re on cloud nine while drifting away on the Stags Leap Luxury Firm Pillowtop collection. A soft gel foam provides soothing comfort with exceptional surface contouring and conformability, while SurfaceCool Fiber technology just beneath the fabric is designed to move heat away from the surface of the mattress to help maintain an ideal sleeping climate. 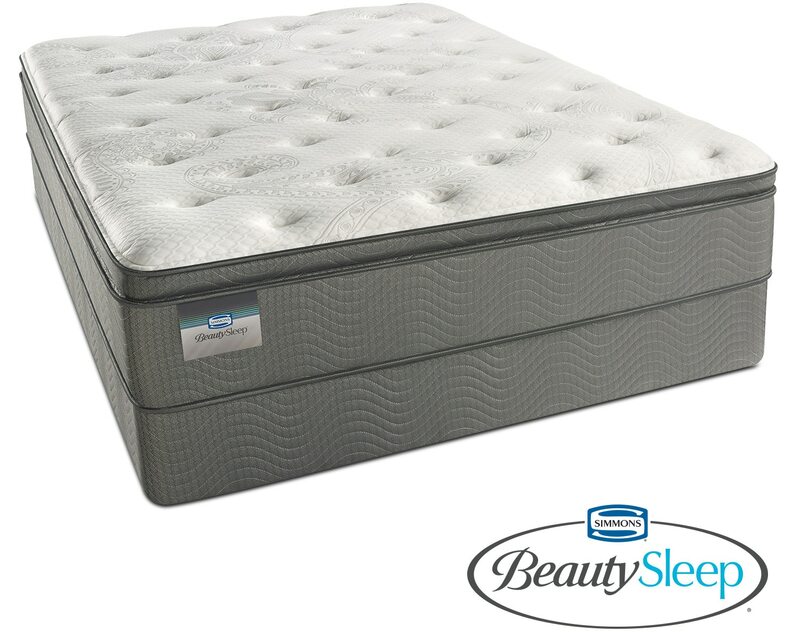 High-density wrapped coils adjust independently to the weight and contour of the body, providing a customized and incredible sleeping experience. Unique Features: 725 Density Wrapped Coil technology adjusts independently to the weight and contour of the body. SurfaceCool Fiber just beneath the fabric is designed to move heat away from the surface.